Very much enjoying powered flight, I was on the lookout for a model that was large and graceful with presence in the air, but also offered stability and a wide flight envelope - fast and agile yet slow and stable for slow flight and landings. I couldn’t have chosen a better model than Composite-ARF’s SF-260 Marchetti. At a 3m wingspan, this is no small model and requires a big petrol engine for power. With retractable undercarriage and wing-tip tanks, the plane is stunning in flight! The enormous flaps allow for almost walking-pace landings and the whole aircraft is beautifully built and painted. Seeing the earlier models were under-powered with the wonderful sounding Moki 100, I opted for much more power and chose the DA-120 twin cylinder engine. This choice presented its own challenges - fitting its large size under the cowl; placing two large exhaust mufflers in the fuselage and cooling the fuselage. However, once these issues were solved, the result was perfect as the engine allows for fast speeds and easy verticals. Dual receivers and dual batteries through a PowerBox system provided the extra security for the radio system. Another battery powers the engine ignition system with a transmitter enabled kill switch. 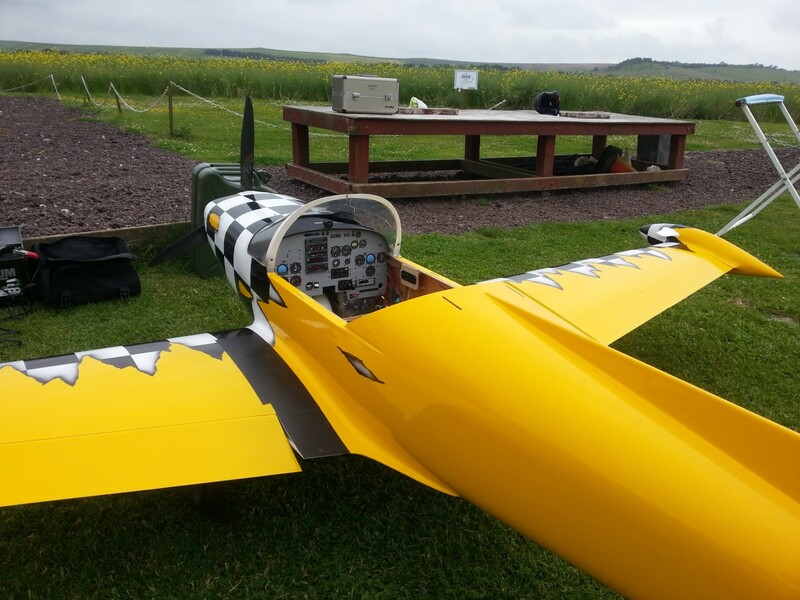 A series of test flights with Paul Heckles allowed us to perfect this model in fight with both Paul and I agreeing that it is one of the best flying models we’ve ever flown!